These are basic tips to financing real estate and preparing for a mortgage loan. If you have specific questions on any Southern Utah real estate please don't hesitate to let us know. Get pre-approved. Don't skip this step. Getting pre-approved is fast, easy and free. A written pre-approval includes a completed credit application and a certificate guaranteeing you a mortgage to a specified amount. With one in your pocket, you won't waste time looking at homes you can't afford. Instead, you can invest your time shopping for the home of your dreams - and in your price range. Examine your finances. How much can you afford to spend? While a lender will tell you how much you qualify for, it's up to you to figure how big a payment fits into your budget. What monthly dollar amount do you feel comfortable committing to? Remember to consider related costs such as insurance and taxes, as well as interest and principle. Consider what type of loan is best for you. Compare fixed-rate with adjustable rate mortgages. Look down the road. Where will you be in 15 years, 30 years? What obligations might you have? Take those things into consideration as you choose a loan. Check your Credit Report. A lender will run a credit report on you (it only takes a few minutes), but you'll be ahead of the game if you acquire a copy first. You'll know exactly what's on it and be able to correct any inaccuracies. Shop Around. When you're ready to get a loan, explore your options. You can choose either a direct lender or a mortgage broker. A direct lender has money to lend and makes the final decision on your loan. Brokers are intermediaries who choose from many lenders. A broker may be able to help find you a loan if you have special financing needs, but he or she will also receive a percentage of what you borrow. Be aware. Don't let hidden costs sneak up on you. Ask your lender for a written estimate. Apply for a loan. Gather all the documents you'll need to verify your loan application. Lenders will want to know your job tenure, employment stability, income, assets (property, cars, bank accounts and investments) and your liabilities (auto loans, mortgages, installment loans, credit-card debt, household expenses and others). You'll need to provide documents such as paycheck stubs, bank account statements and tax returns. Check with your lender or broker for more information. Lock it down. With interest rates changing daily, locking down your rate can prove a big money saver. A rate lock - in writing - guarantees you a certain rate and terms for a specified period of time. Lock in all the costs you can, including interest rates and points. And try to set the lock at the time of application, not at approval. This will protect you from rising rates. Your lock-in period should be long enough to allow for all processing time. Most lock periods range from 15 to 60 days. Make sure to check with your lender or broker about the average time it takes them to process a loan. Ask about Pre-payment. You can shave years off the length of your mortgage by restructuring the way you pay back your loan. Simply paying more frequently can save thousands in interest. So can making a lump payment toward the principle - or paying a little more each month. These methods are called pre-payment. Not all loans allow for pre-payment. If you want the option, discuss it with your lender or broker. Clear up any financial problems. Do you have credit problems or owe money to the IRS? Buying a new home may still be a possiblity. Contact a financial advisor or tax resolution service to find solutions. Know why you should avoid bankruptcy to get rid of debt. Learn about popular bankruptcy methods, their disadvantages, common myths and feasible alternative to avoid bankruptcy. ADDITIONAL REAL ESTATE NETWORKS: For Tips and information on Fairbanks real estate see Wes Madden.com. I provide all my clients with dedicated representation for all Fairbanks homes and North Pole real estate. United Brokers is your source for all listings in Vancouver WA homes and all Clark county real estate. 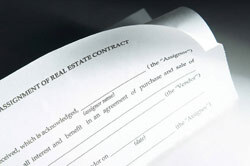 We service any real estate transaction for the Vancouver area and all Battleground WA homes and properties. Butler Realty is your expert source for all Ardmore TN real estate and homes. With access to all listings in the Southern Tennessee real estate area plus all Northern Alabama real estate, you can be sure to find the right home for you here. At Real Estate's Best Stop you can take care of all your Cadiz KY real estate needs here. We offer Kentucky home loan programs as well as 100% financing on Kentucky construction when building new homes. We are your complete source for all Cadiz KY homes and Hopkinsville homes. Contact Randy Lee Photography for Photography in Seattle. With expert attention to details Randy is your portrait photographer and real estate photographer. For professional Washington wedding photographer pictures there is just no better choice for photos at reasonable costs.